This tire’s unique tread pattern and edge grip provide superior traction when compromise isn’t an option. Reinforced 3-ply polyester sidewalls provide enhanced handling whether aired-down or carrying a full load, and its enhanced tread depth allows for impressive traction in deep snow and extremely wet conditions. An ultra-aggressive tread pattern provides excellent traction and handling in the worst conditions. A-shaped sidewalls provide increased stability on the most demanding trails, but on-road manners are slightly compromised due to the deep off-set tread pattern; but with a design like that, it might just be worth it. The A/T Sport provides a happy balance of on-road manners with off-road capability to get you just about anywhere you would want to go. The A/T Sport is a great option for enthusiasts who are looking for an everyday tire that can still hang with the weekend warrior crew—and still look good doing it. The new Grabber X3 mud-terrain tire line delivers outstanding off-road performance, coupled with impressive street manners. With even more aggressive styling than the G2, the X3 is definitely a leap forward for the off-road tire industry, and will definitely have you turning heads. If the original Grabber just isn’t tough enough for you, here comes the G2. An even more aggressive tread block design—five rows in total—and a chip- and tear- resistant compound give you the ultimate confidence when you need it most. As one of the only companies that offers a trial-offer, Toyo knows that you’re going to love their tires and the R/T is no exception. The Open Country R/T is just as at home in the sand, or crawling on the slickest rocks, as it is rolling down the highway. Add in the fact that these tires are 100-percent American-made, and you’ve got a winner. Goodyear broke the mold when they introduced the Wrangler, with its groundbreaking Kevlar construction. A top choice for manufacturers of off-road vehicles, the Wrangler has been proven time and time again in all kinds of terrain. One of our favorite tried-and-true, go anywhere and do anything tire is the Terra Grappler G2. The G2 is an excellent choice for weekend warriors who want a tire with amazing off-road performance, that also looks great without sacrificing cabin noise. The Razr MT was engineered with deeply-sculpted center blocks that maximize off-road traction while retaining a quieter ride. A new tread compound features chemical fillers for maximum tear resistance, puncture resistance and tread life. 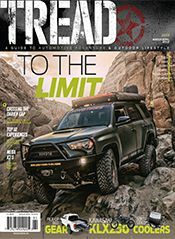 A unique sidewall tread wrap provides impressive traction in sand and loose terrain, while the price point is equally impressive. The Fierce Attitude also lives up to its name with an equally fierce sidewall design and tread pattern that looks at home on just about any adventure rig. New to the Yokohama family is the groundbreaking Geolander G015. A rugged triple polymer tread compound is just as aggressive in its looks as it is in its performance. With a wide range of fitment options, the G015 is at home in any garage and looks great on just about any build. 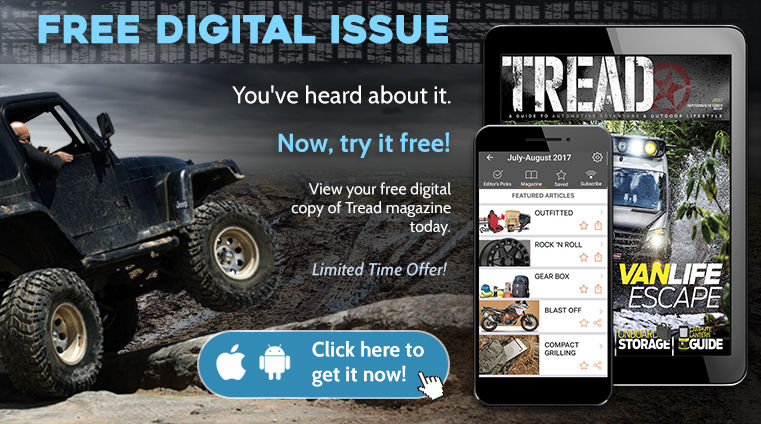 For those looking for the happy medium between a true mud tire and a solid trail tire, the Trail Grappler is worth a look. With a super deep tread pattern and reinforced sidewalls, traction in the deepest mud or snow is a walk in the park. It also feels confident on pavement, thanks to its unique tread block arrangement.